For a Deerfield Beach Accident Attorney you can trust, hire Robert Gluck from the Law Offices of Robert E. Gluck, P.A. He's been practicing law since 1989 and is highly skilled and experienced in many areas of law, including accidents. An accident can be anything from falling on someone's property to an auto accident or medical malpractice. Your Deerfield Beach Accident Attorney will immediately start with a thorough investigation into your claim to gather all the necessary evidence to build a strong case for you. He will need to find evidence of negligence that caused your accident. Negligence is the legal standard one must follow to avoid injury to others. If he can prove negligence, you may be entitled to compensation. 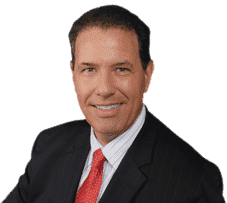 Deerfield Beach Accident Attorney Robert Gluck will locate and speak with any witnesses to your accident, take photographs of the accident scene, find any available video surveillance, assess any property damage, and obtain any other evidence he believes will help you in your case. He will explain all the details of your case from start to finish so you are aware of the progress. Dealing with this tough time on your own can be stressful. With your Deerfield Beach Accident Attorney, you will have someone on your side to fight for you and get you the compensation you deserve. Robert Gluck cares about his clients and he will make sure he provides you with the legal representation and guidance you need so you can focus on moving forward with your life.